Ferns are beautiful plants both from a distance (where you can see the whole fern or many ferns as a group) and from close up. Ferns unlike most plants carry their reproductive centers in their leaves (called fronds). 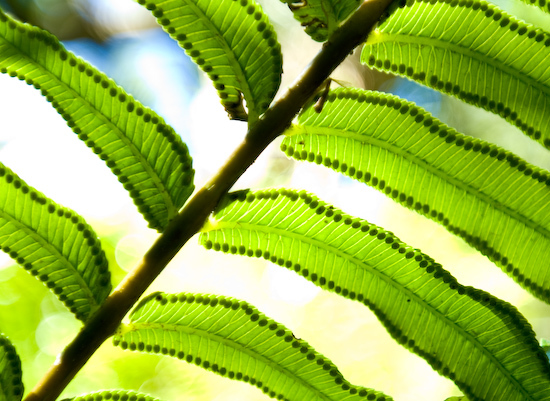 In this backlit shot of the fronds of a fern, you can see the spores.